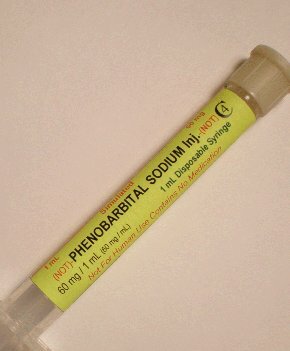 This syringe contains only water, but is labeled to simulate phenobarbital sodium. 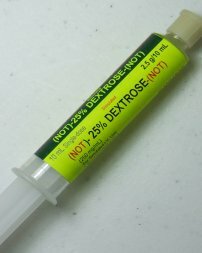 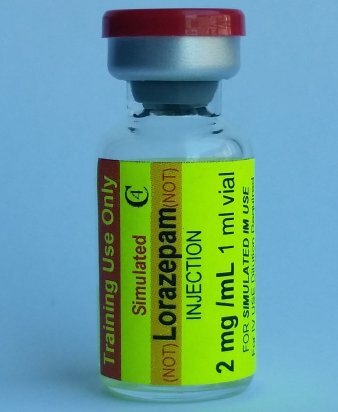 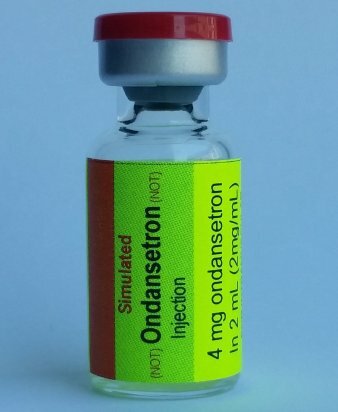 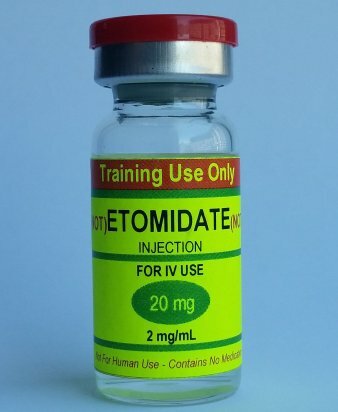 The marked concentration is 60 mg/mL. 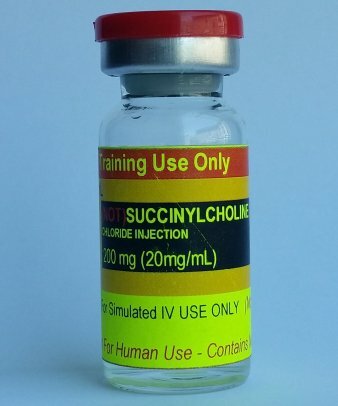 The syringe contains 1 mL or 60 mg.
PharmProps' simulated phenobarbital sodium syringe provides realistic training in a controlled environment. 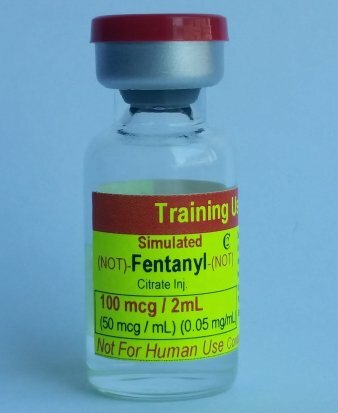 Ideal for practicing proper drug and concentration identification and IV administration.